The Campfire Lithium Batteries Big Bucks, But Are They Worth It? 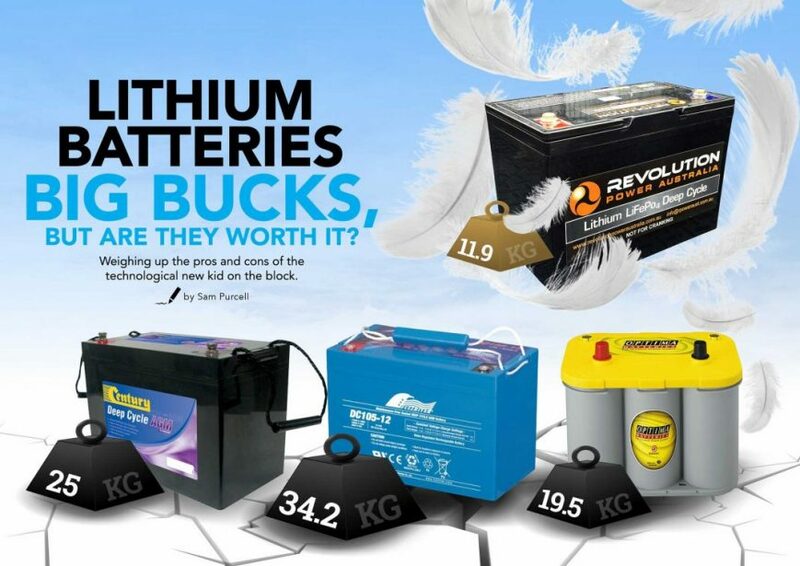 Lithium Batteries Big Bucks, But Are They Worth It? Weighing up the pros and cons of the technological new kid on the block. Every now and then, there comes along a new technology in the RV industry that has the potential to really shake things up. More often than not, things marketed as potentially revolutionary are often full of hot air: flash-in-the-pan gimmicks that are more sales than substance. One new technology that definitely doesn’t fall into the ‘all show and no go’ category is the emergence of lithium power. Not any old lithium battery, either. We are talking about Lithium Iron Phosphate, or LiFePo4. It’s great technology, vastly superior to the old lead acid technology we have been using for decades. But, it’s also verging on the edge of being prohibitively expensive. So, is it worth it? Let’s break it down. The advantages of lithium over lead acid are numerous and notable: it’s up to half the weight in some instances, meaning you can save precious kilos on your setup. Lithium puts out 12.8 crispy volts of power, all of the way down to 20% of the battery capacity, where lead acid becomes and expensive and ugly doorstop anywhere south of 11.8V, or somewhere under 50%. So, pound for pound power in terms of amp hours, lithium power is vastly superior. It recharges better, as well, with a much more efficient capture rate. The main negative for lithium power is cost, and it’s a big one to swallow. We’ve priced up a 100AH LiFePo4 battery from Revolution Power Australia, who make quality units, and it comes in at around $1,900. Compared to roughly $400 for a 100AH lead acid, that’s a big jump in expenditure. You’ll need special chargers and isolators to manage the lithium power as well, which adds more to the overall cost. So, back to that starting question: is it worth it? Well, in a nutshell, yes and no. For some of us out there, price is less important, because they want the best. Others simply couldn’t justify it, when a significantly cheaper and simpler lead acid setup will to the job for them. What I find most intriguing, however, is the possibility that lithium could work out cheaper in the long run, as long as you run it long enough. To look at it in the simplest terms, lithium costs five times more than a lead acid. But, it has the potential of up to a ten-times-longer life cycle. My tip: get the calculator out, and do the math. Lithium power can potentially work out to be overall cheaper than lead acid, in the long run. In terms of usable Amp hours, 200 Ah of lithium batteries is actually the equivalent of 300 Ah of lead acid batteries – 160 usable Ah for lithium versus 150 usable Ah for lead acid. As they hold their voltage down to 20% SOC, your fridge will run much better as it gets the Volts it needs all the way. If you are happy to do the work – and it is not hard – you can make up your own lithium batteries with management hardware for around $1600 for 200 Ah – the equivalent usable Ah as 3 x 100 Ah lead acid batteries, at $1200, less than half the weight and a much longer life. What’s not to love about them? I get around 5 to 6 years out of my 100 ah. gels. sometimes more. have the decreasing balance of the $1900 available for other things. 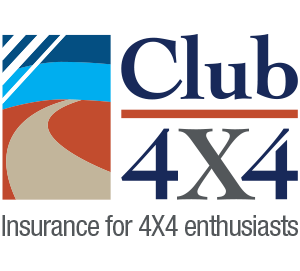 / sponsored safaris such as you see in 4 X 4 TV shows on CH 10 and 31. The cost of setting up even a touring rig is dear enough as it is. I think, like everthing that is new & put on the market , it will be at a premiem price. You will find in 2 years time they will be at least half the price. I own a LC200 Sahara and have a lead acid as the third Battery running all the goof gear down the back. With LA I am restricted to around the 60AH. Here’s the question: Do Lithium batts come smaller and how significant is that for space purposes. Might well just wipe off the comparison need for some if not all. I own a LC200 Sahara and have a lead acid as the third Battery running all the good gear down the back. With LA I am restricted to around the 60AH. Here’s the question: Do Lithium batts come smaller and how significant is that for space purposes. Might well just wipe off the comparison need for some if not all. $1900 is a total rort. I’m so sick of outfits putting things on the market and trying to charge whatever they think they’ll get away with. If it were cost price + gst + a fair 10% mark-up we’d still be well under $1000 and actually generate some sales and ultimately make more money. But at $1900 I hope they all get left on the shelf tying up capital until they go broke. The same goes for almost everything else sold in Australia. Do your research and shop around!! Oh, and nothing against the technology. Great stuff! Just do your research!! I’m just setting up 2 x 200 amp/hr lithium so I can travel off grid with 800 watts of solar panels, 2 x mppt 30 amp controllers, bms and 3000 watt pure sine inverter for under $5000 This equates to 120 days of not having to go caravan parks at $39 per night. Hi John, how did you get on with your proposed 400 Ah LiFePO4 battery set up? We are considering the same and would appreciate some feedback. Hi John what brands are you using under the $5000 mark I’m very interested in making a setup like that. Where’s everyone buying cheap lithium batteries? I’m either going lead crystal or lithium. Lead crystal look better as you can run a smaller one because you can drain them lower. Lithium is still lighter though, if I can find them cheap enough. Lead crystal will last longer though. Has anyone done testing on the itech world lithium batteries?